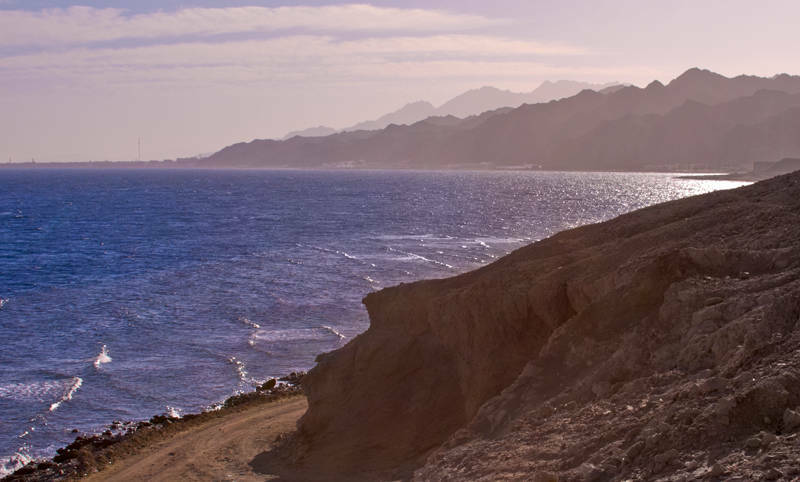 This is the Sinai coast in Egypt. After developing this image in Camera RAW it showed some nasty colour distortion in the shadow areas. It looks like alternate green and purple bands over the image. If you have this problem you can use this technique to fix it. Created a new layer and set the blend mode to color. Select a soft brush and reduce the opacity to 30%. 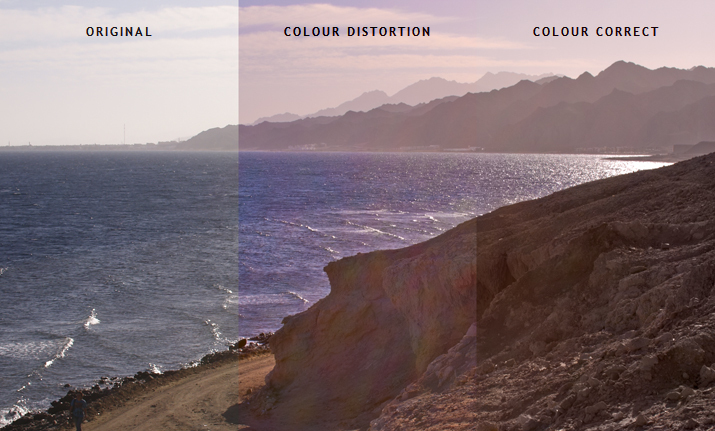 Use Alt+left click to select a good colour from the image then brush across the stripes until they disappear. Try to sample lots of different areas so the image does not become monochromatic.